MamaBreak: Citrus Lane Review November and SPOILER! 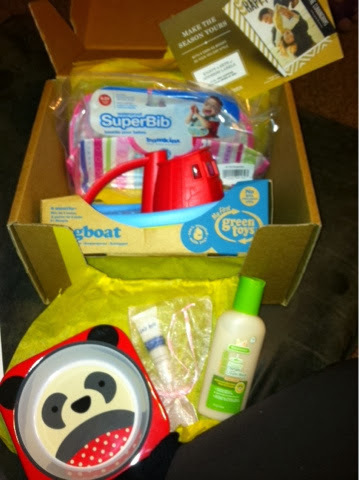 We still LOVE our Citrus Lane subscription for the kiddos and we got our boxes EARLY! 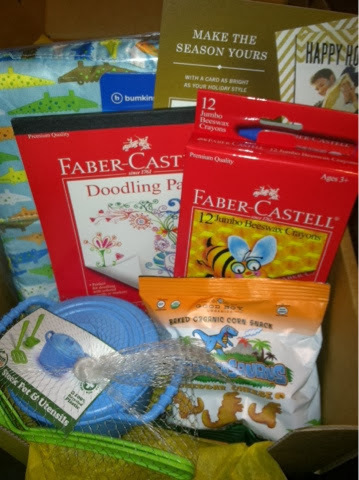 Here is a review of the boxes we have currently received. We LOVE these Bumkin bibs. They are a waterproof material and CATCH food baby dribbles down. We've been wanting some more full sized green toys! YES! We are REALLY excited and have held this one back from Christmas! Will come in handy with all the windy, cold weather approaching! Haven't tried it before, but am excited to have a treat for Mama! Sturdy with a cute design! Yes please. Not impressed with this card or "freebie." I don't ever spend $99 on my Christmas cards, so I wasn't excited about this offer. Sign up for Citrus Lane today! Super cute print with a great cushion to keep things cold! We like what we see so far! Faber Castle Wax Crayons, Amazon price $9.53We LOVE these crayons. They are a repeat for us, but we love how "soft" they color. We will put these in a stocking for sure! It's cute. Works great with crayons. Organicasaurus Baked Organic Corn Snack, Amazon price per unit $1.75New company for us, and we do like them. Only a small pack, though. Get your own boxes for kiddos today! 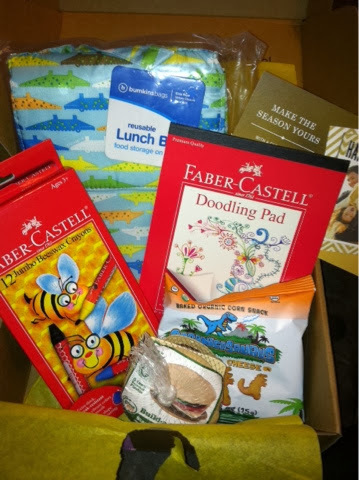 Want a box for your kiddo age birth-4 next month? Sign up! How old is your baby girl? This is MamaSteph's posts (one of our contributing writers). She is expecting her FIRST baby niece in just a few months!!! Exciting!!! I believe the box is a 7 month box, but I will ask her to check in and comment as well! 8 months girl was the exact age.